ut it has happened at Pacifica Radio, where management has hired the notorious union-busting attorney Jackson Lewis–and CWA members are mad as hell. This is a huge slap in the face to the workers who bring Pacifica’s shows to listeners and to the donors who expect their contributions to support radio programming, not union busting. It’s just the latest attack on the workers who make stations like KPFA in the Bay Area possible. CWA-represented workers at Pacifica station KPFA have started a petition calling on Pacifica to drop this declaration of war right now and get rid of Jackson-Lewis. 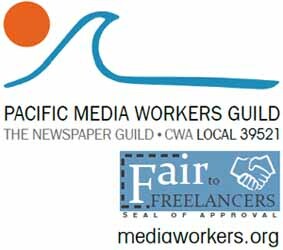 You can click here to stand with Pacifica Radio workers.